Enjoying a local brew in the Mechanic Institute’s events bar before Affair Play, a new play from Freshly Ground Theatre, my plus one and I speculated what the moral of the story would be, and wondered if the play could convince us of what the title implied. Having seen the play we agreed that, much like the ripe old saying, all’s fair in love and war – especially if you’re the play’s dysfunctional couples. During a disastrous yet uncomfortably familiar dinner party the couples engage in witty repartee, wrangling for a place in the others’ marriage, with mixed results (no spoilers here, but suffice to say there was a fair bit of antics of the racy kind). Being a stickler for aesthetics, I thought perhaps the minimalism of the set strayed a little too far from lo-fi into slap up, but that didn’t detract from the light hearted humour and interesting treatment of a contentious issue. Brought to life by Director Max Barker and written by Sam Floyd, this one is worth a try, especially for the performances of the amorous couples played by Anthea Greco, Remy Coll, Lucy Norton and Sam Floyd. I was pretty amazed by Lucy’s astounding ability to churn out the tears after slamming out some standup-like satire. If you’re looking for a bit of a fun night out then buy tickets now – it certainly makes for good conversation. 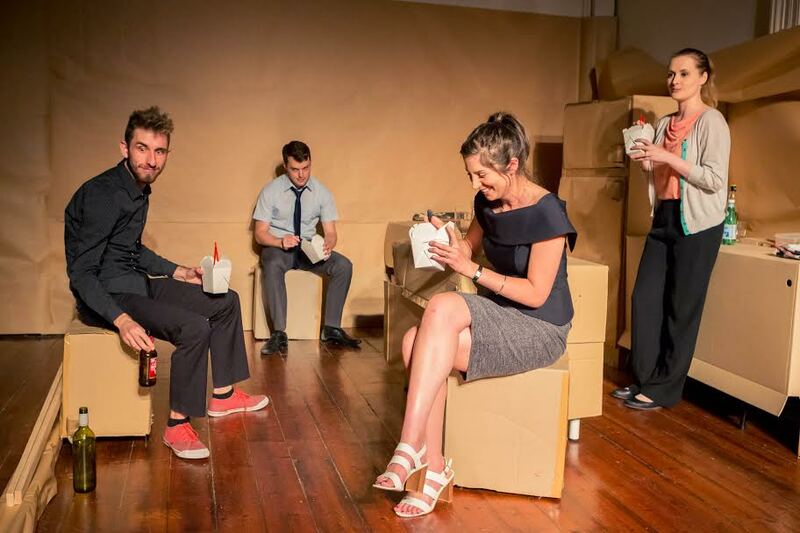 Affair Play runs from 9 – 19 December at Mechanics Institute Brunswick. The Plus Ones were invited guests of Sassy Red PR.